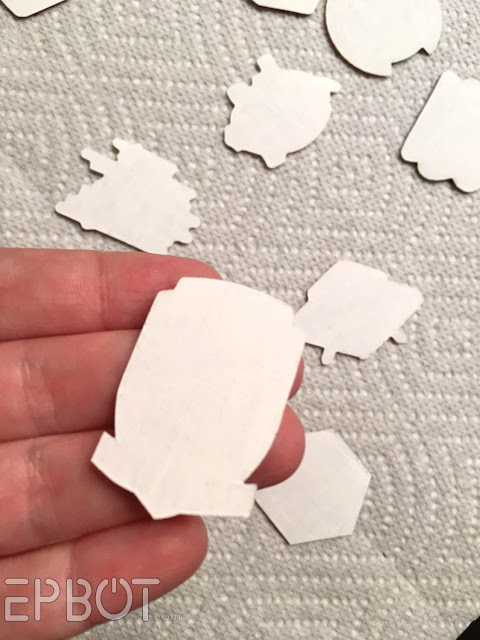 EPBOT: DIY: Turn Any Shaped Stickers Into Reusable Resin Pins! 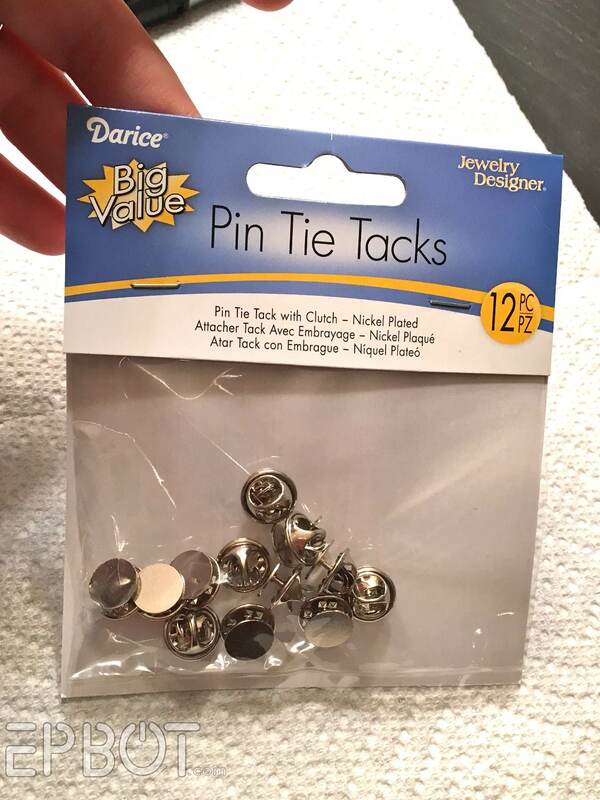 I used these, but bar-type pins are great, too. - (Optional) A doming tray from Little Windows is extremely helpful, and only costs $3. Well worth it if you plan on doing a lot of pins! 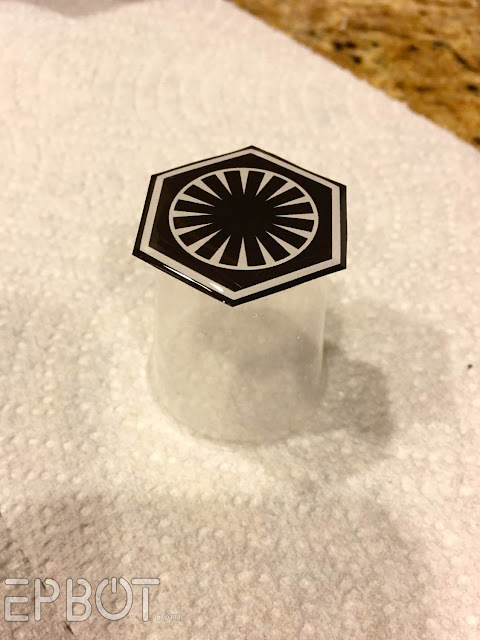 The tray is covered in tiny plastic spikes, which allows the stickers to "float" above the tray - essential for resin doming. The important thing is to have all the sticker edges up off your work surface, level, and not touching anything. Step 2) Mix your 2-part resin, and allow it to rest an extra few minutes, so it's slightly thicker. Then pour a little resin onto each sticker, allowing time for it to level itself and dome up slightly. 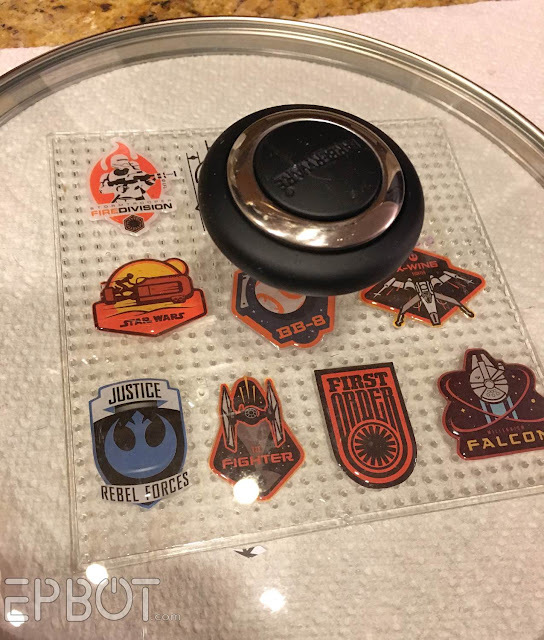 Believe it or not, the surface tension prevents the resin from going beyond the sticker edges - which is super cool to watch! I should note I've only tried doming with Little Windows resin, so I can't vouch for other brands. In theory they should work the same, but I hope some of you will chime in and let me know! Go slowly pouring the resin, since you can always add more. 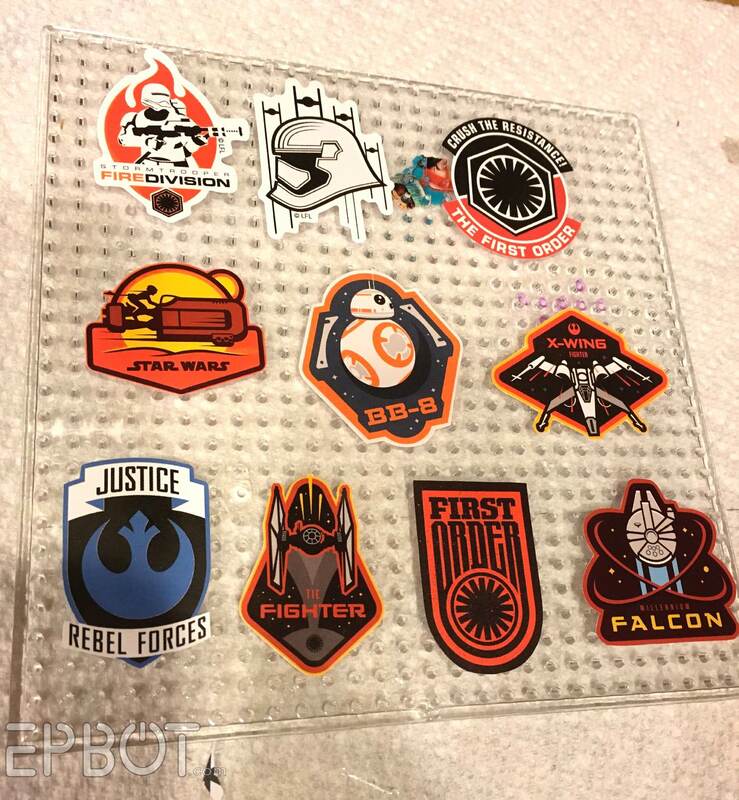 For odd shaped stickers use a toothpick to help drag the resin into smaller areas, like the Tie Fighter wings and Rey's belt on the stickers above. Step 3) Once your stickers are domed as high as you like, cover them with a box or lid to keep dust off, and let them cure overnight. Step 4) The next day, pop your domed stickers off the tray, and paint the back sticky sides with two coats of white craft paint. Before and after two coats of white paint on the back side. Don't worry if you get a little paint on the fronts; once it dries you can run a fingernail over the resin edge, and the paint pops right off. Step 5) Mix another batch of resin, allowing it to set up a few extra minutes again, and repeat step 2 for the backsides of the pins. You don't need a doming tray this time, though, and you can use less resin, since you only want to seal the backs, not dome them. 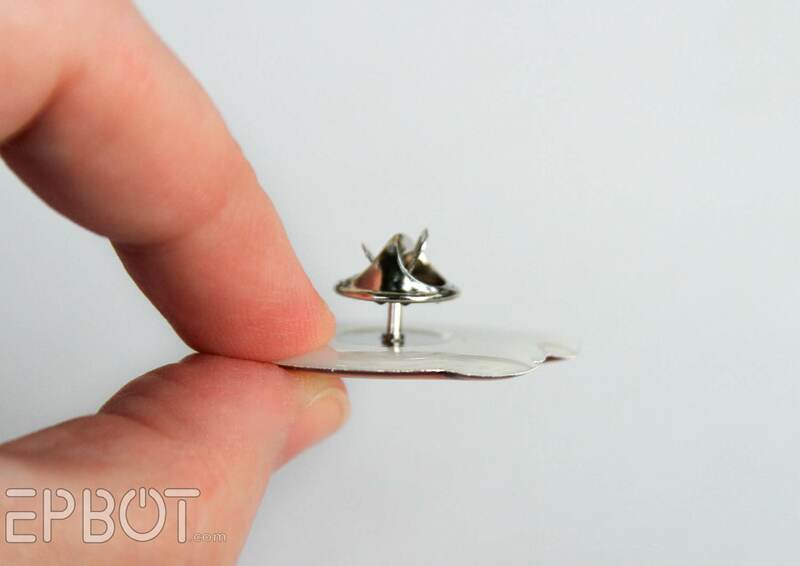 The resin will overlap the pin back and seal it in, making it incredibly strong. 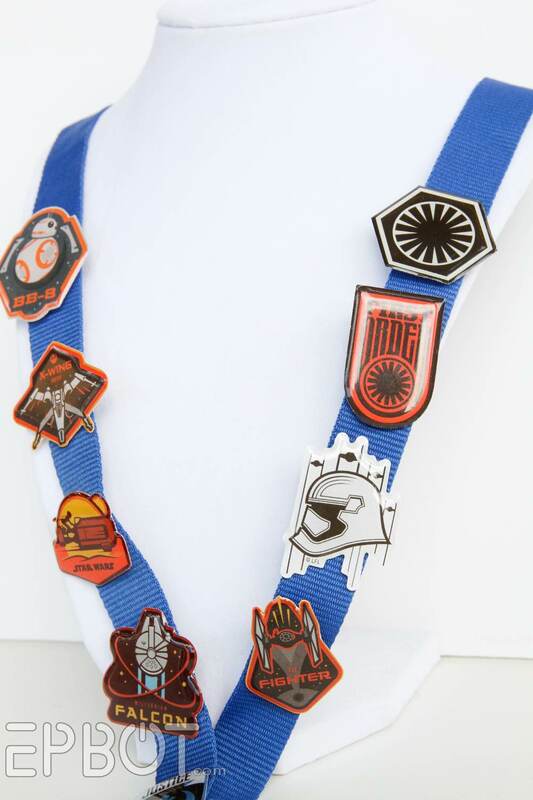 These pins are super light, so you may want to use TWO tacks to keep them from spinning around on your lanyard. That, or use a bar pin, if the sticker is large enough. And that's it! 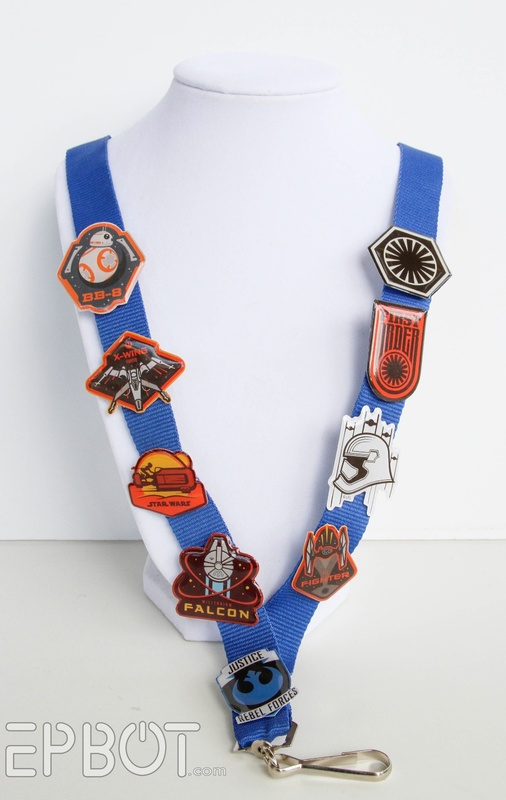 Once the backs have cured, your new pins are ready to decorate your jackets, bags, lanyards, etc. 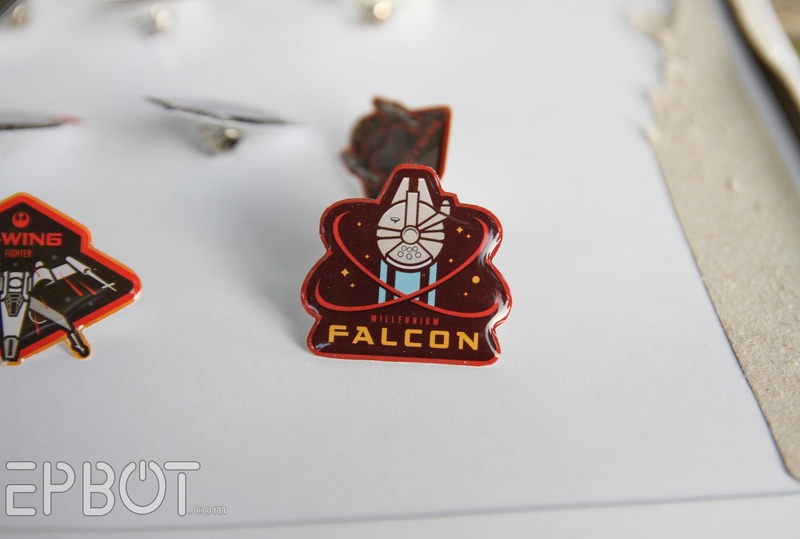 As you can see, the doming works on all shapes, but tiny areas like those X-Wing tips are harder to reach with the resin, and therefore a bit more fragile. All of the other shapes worked great for me, though, and feel surprisingly strong. Oh, I forgot to mention: several of these stickers originally had a thick white outline that I trimmed off before doming. You may want to do the same with some of yours, for a cleaner look. 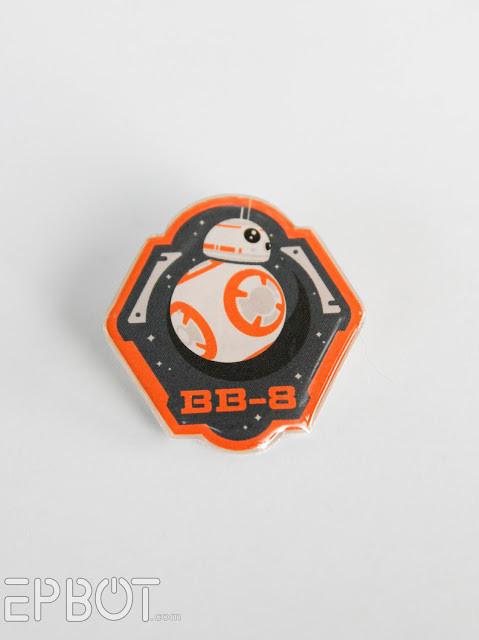 I'm planning to finish up more of these, once I buy more pin backs! 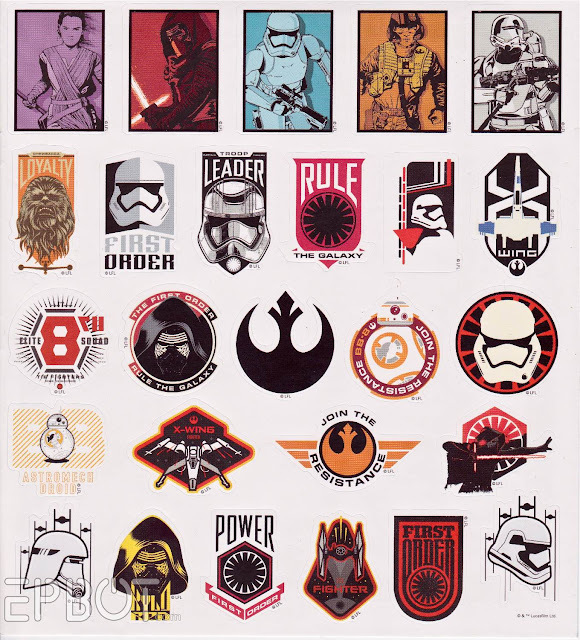 Plus I have some larger art stickers from conventions I'd like to try. 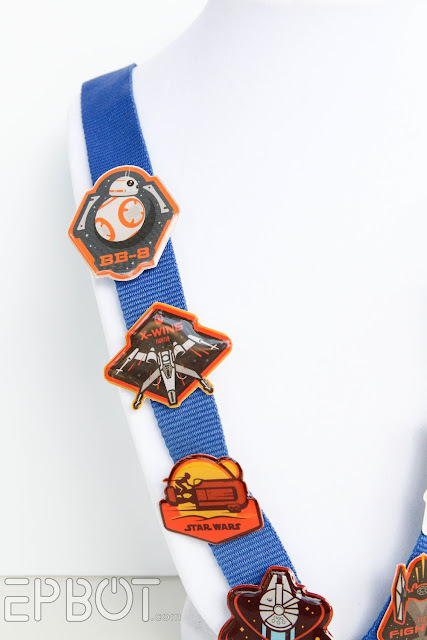 Instead of pins, you could turn your domed stickers into charms, necklaces, earrings - so many fun possibilities! I hope this inspires some of you to give resin doming a try! Happy crafting! The doming treat looks like the things my kids use for perler beads. I can't wait to try this! I thought the exact same thing! Betcha it would work the same way. I came here to say exactly that! So, I guess my idea wasn't that original after all. LoL. I came to make that suggestion too. I need this in my life, thanks so much. Wonderful idea! Thanks for testing this out. I wish my kiddos were young enough to still be exchanging Valentines in school - I would figure some way to use this. Ahhhh, another craft I must try! I've been resisting resin for a long time (ever since the penny desk tutorial) but I shall resist no longer! I've seen in another tutorial coating paper with Mod Podge before poring the resin on to help stop the discolouring. Ooo! Ooo! My first thought was to try printed paper images cut to shape on a craft cutting machine, but I wondered if plain paper would work. Leigh's Mod Podge idea is perfect, though! I know what we're doing all snowed in weekend!!! If you want to do printed images I recommend photo paper for resin. It's a little thicker. 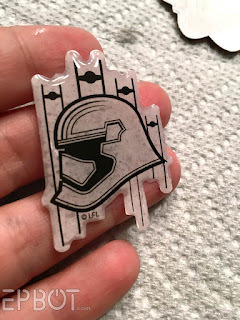 If you do use regular paper I would give it a few coats of mod podge (make sure you get the edges)because the resin will really discolor regular printer paper. 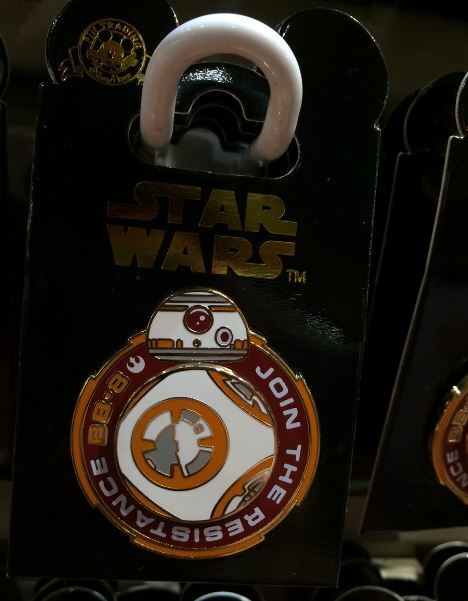 Out of curiosity (not living or traveling to Disney very often), how often do they rotate pins? I'd be willing to splurge on a couple when I'm in CA in Aug/Sept (since I'm no good with most crafts), but I'd like to know if they'd still be there, or if it'd be a new batch by then. Just curious if anyone knows! Those pins though look great Jen!!! Wish I had the time and craftiness to try some of your projects!! 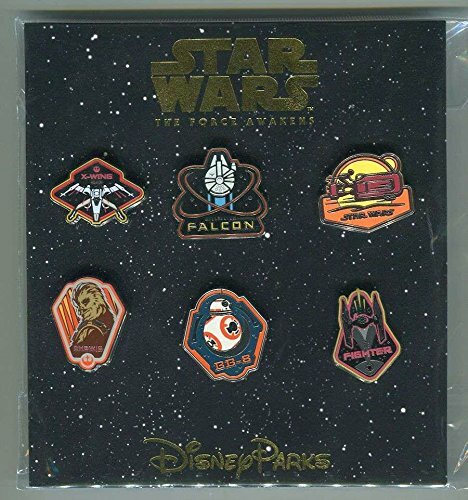 I don't think that many of these Pins are limited edition, so they should still be there along with some new ones. I know I've seen some of the ones since November and they are still there now. Someone do this with earrings and post it!! Now I want to dig out my old grade-school sticker collection!! I still have some fantastic holographic dinosaur stickers from when the first Jurassic Park came out and haven't had the heart to put them on anything for fear that I'll scratch them up or they'll peel off; maybe THIS is their proper destiny. 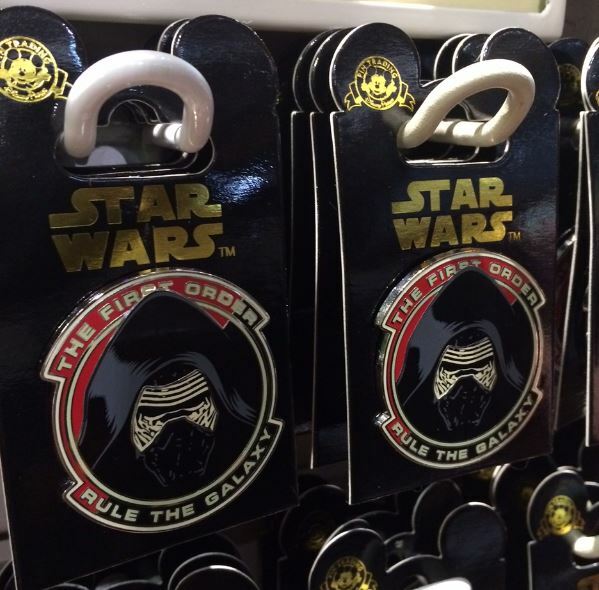 I wonder if the domed surface of the enamel would interfere with the effect, though. I may have to experiment. Darn it, why didn't I bring my old sticker collection with me when I moved?! At least I know they're safe until I get to them. I've domed a glitter sticker before, and the resin actually magnified the sparkly effect a little, which was awesome. 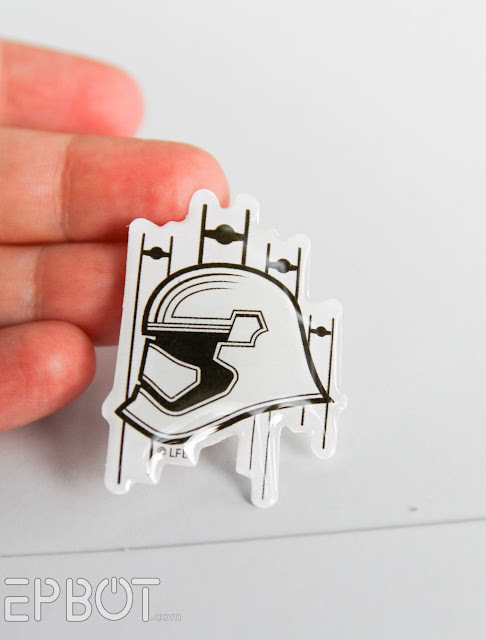 So I *think* your holographic stickers should be fine! Ooh, I might want to try this with some of my art. Any doming resin will work - make sure it says on the container that it's specifically a doming resin. Resins like Envirotex Lite don't dome. Also, something like Diamond Glaze works better for sealing paper than Mod Podge, and make sure you get the edges, too. 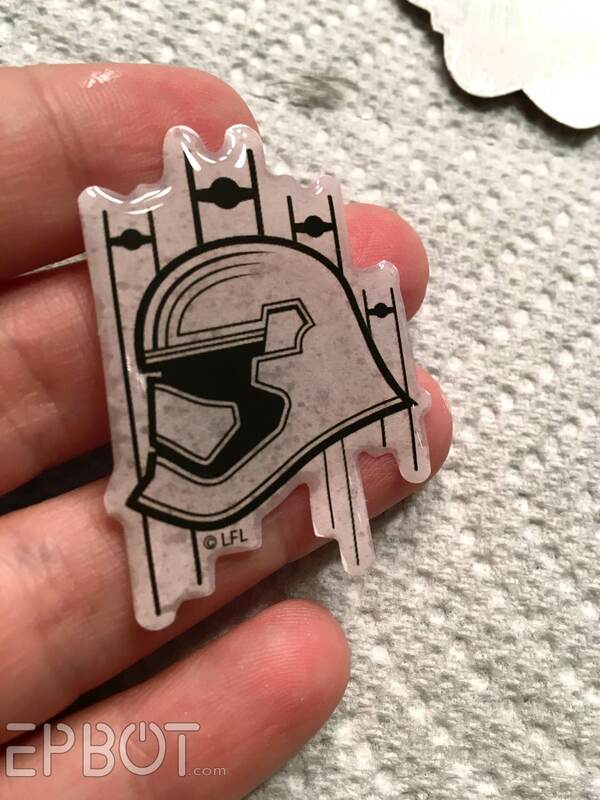 Would you be able to suggest other types of doming resin? Awesome! 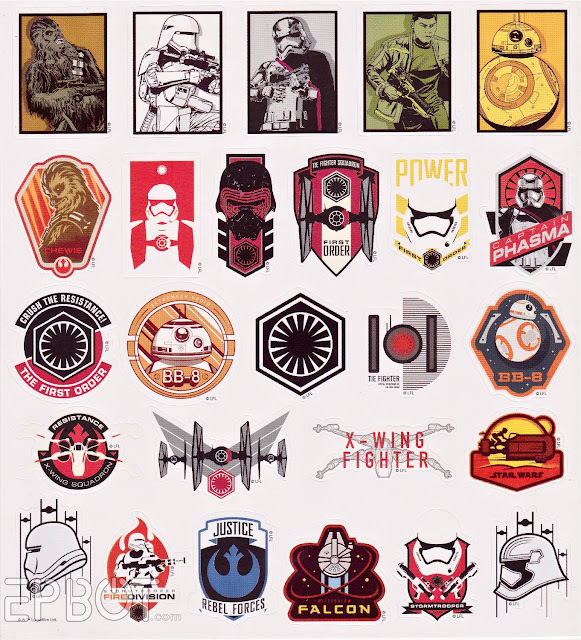 I have so many ideas since I collect stickers. Thanks, Jen! Thanks Jen, this idea can be applied to so many projects! They make great magnets too, although I suggest putting the whole setup on a steel cookie sheet, or put metal rulers under them when inserting magnets to hold them down in place, otherwise they tend to migrate towards each other while setting. 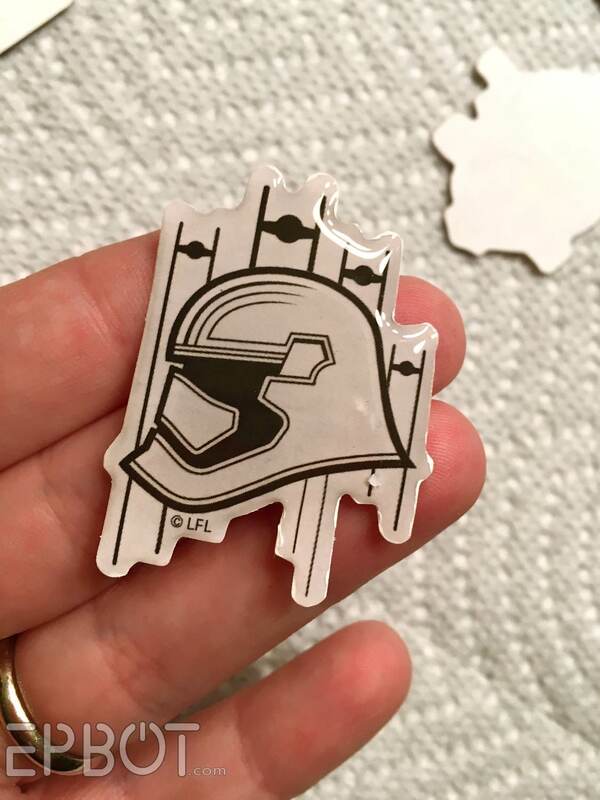 For thin or delicate designs you can also stick the sticker to white card stock first and then trim it out before Doming. This gives it greater stability and the same opacity as the white paint. For any double-sided Doming projects, make sure the first side is set up nice and hard before flipping to dome the backs, otherwise the tray or paper towel might make an impression. For this reason I sometimes dome the backs first, with the pins in them you could then just stick them in a piece of styrofoam or clay to dome the fronts. Lots of fun to be had! Ohh! I'm going to have to try this with some of my own artwork! Ooo...this is a neat idea. I often make stickers into magnets using sheet magnets (available cheap at home improvement stores where they're sold as covers for heating/cooling vents) but you can't wear a magnet. So this is a cool idea that I'm going to have to try. I've done this with stickers before, but I used Mod Podge Dimensional Magic. It worked great! 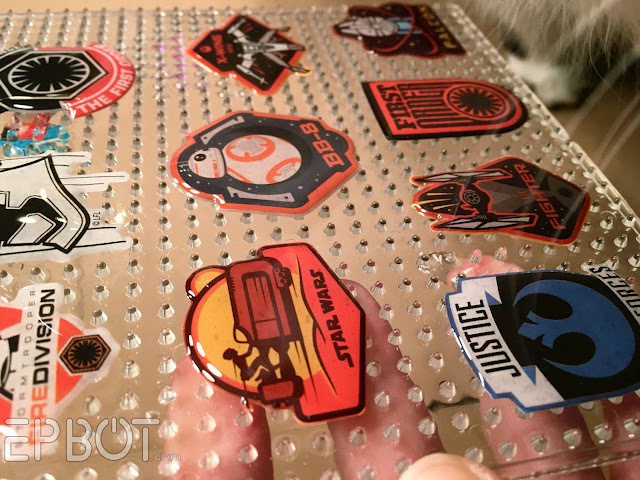 As someone who collects both stickers and buttons/badges, I am all over this project like a rash! One question, though; is it smelly/fumey when it's wet? My stupid migraines are sinus-based (botched adenoid op as a kid), and chemical fumes are a major trigger. There's a lot of paints and adhesives that are off limits to me because of it. It's OK if it's just a little whiffy, I'll make sure I'm in a well ventilated area and all. that. But if it's really strong, then I'd really like to know before I invest money and enthusiasm. Ah! I just thought of a good comparison-- how stinky is this stuff compared to E-6000? Because that stuff does me head in! I think I just fangirl squeed all over my desk. 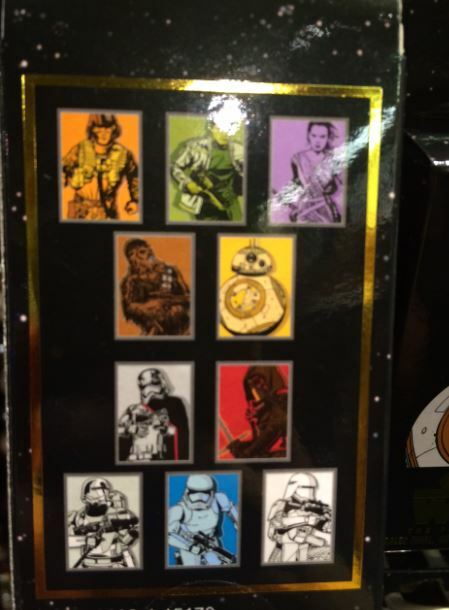 Found some Star Wars sticker packs at Dollar Tree that have many of the designs you've shown us here. 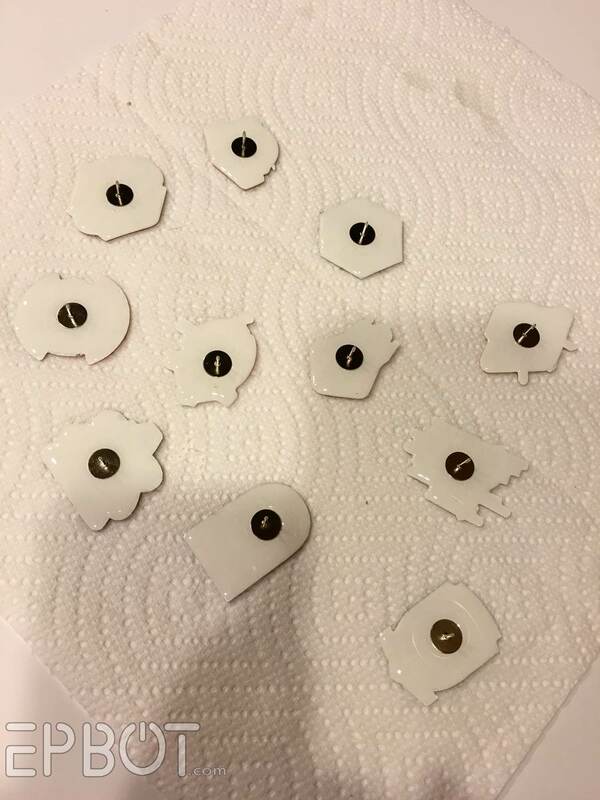 They're mostly circle or rectangle/square instead of unique shapes, but with the cost being $1 for 216 stickers, still a great deal in my book. If anyone goes looking for them, they were up by the registers in the "impulse buy zone" at my local store. So it wont work on a paper print out..? :( Resin will bleed rigth thru the paper and destroy it I think.. or have you tried it? Maybe thicker paper could work? Do you know how amazing this tutorial is for Ita Bags???? The money people could save! I bought some stickers off of redbubble and was trying to figure out how to turn them into something I could put on my ita bag and wasn't having a ton of luck, but this tutorial SAVED me! 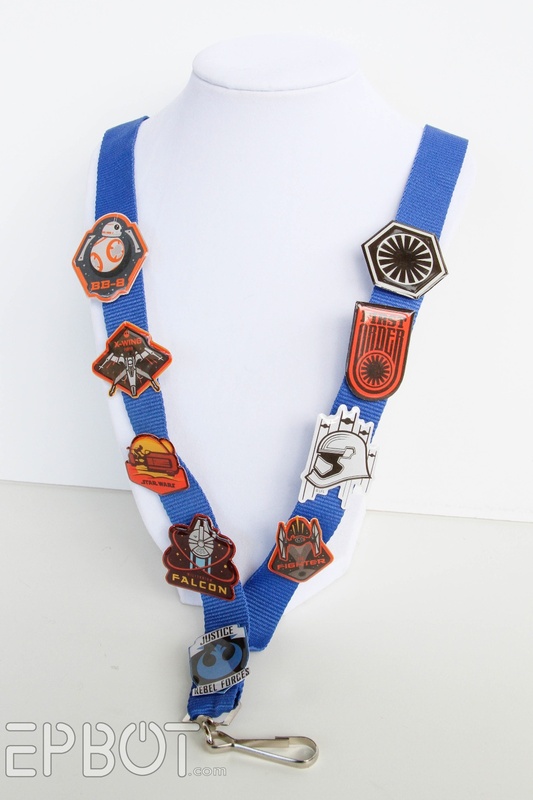 Could you also make one showing how to create charms?? How did using red bubble stickers go?! I came from redbubble over here, and I think it would be awesome to make some big pins. I'm just worried that based on the size, it might be too brittle and break easily if the edges get caught on something? Will this doming work on embroidered patches? Has anyone tried this doming on embroidered patches? Does it work? I don't think so, mostly because a patch has rounded edges, so the resin would drip right off. You need a super sharp edge to build up the surface tension required for doming. Other issues: the resin will soak into the patch instead of floating on top, and will make it look wet. Could you do the same with say Mod Podge Dimensional Magic?? I still haven't tried that one (keep meaning to! ), but in theory, yes, it should work! How big have you gone with this? How big do you think one could go? I haven't gone very big with it yet, but I'd think anything up to 5 or 6 inches across would work fine - provided it's on a perfect level surface, so the additional resin doesn't snowball over the edge, ha. The strength of the paper underneath could be an issue with that much more weight of resin on top, too, so for really big stickers I'd reinforce them with extra card stock underneath. the biggest I've done so far is 3 inches by 2 1/2 inches, however, my sticker wasn't a perfect rectangle! I recommend only going that big if the sticker/piece of paper is a little thicker/sturdier than regular sticker paper (maybe try gluing some cardstock to the back). My first attempt didn't go great because I had a large design (roughly 3x3 but still not a perfect square) but relatively flimsy paper. I didn't know what I was doing and I added too much resin too fast and the surface tension broke. My second, more experienced, attempt at a large design was cut from cardboard and it came out flawless! Whoa! This is such a great idea! Do you have to peel off the sticker backing when making the pins? Or could you leave it on? Sure, you could leave it on! That would keep it a single-use sticker, but if you're never planning to move it somewhere else, go for it. 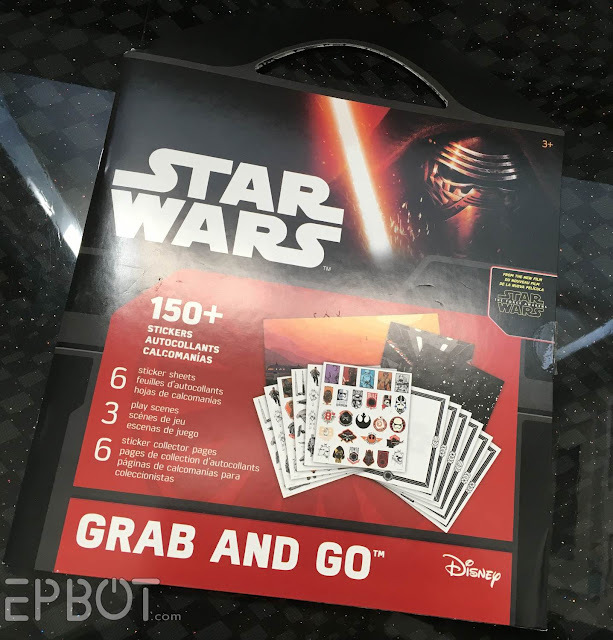 Have you tried this with larger stickers? Like, maybe 3-4"?